Disney Star, Marijuana Advocate, Pop sensation and Tongue Wagger! There are all titles that fit Miley Cyrus. 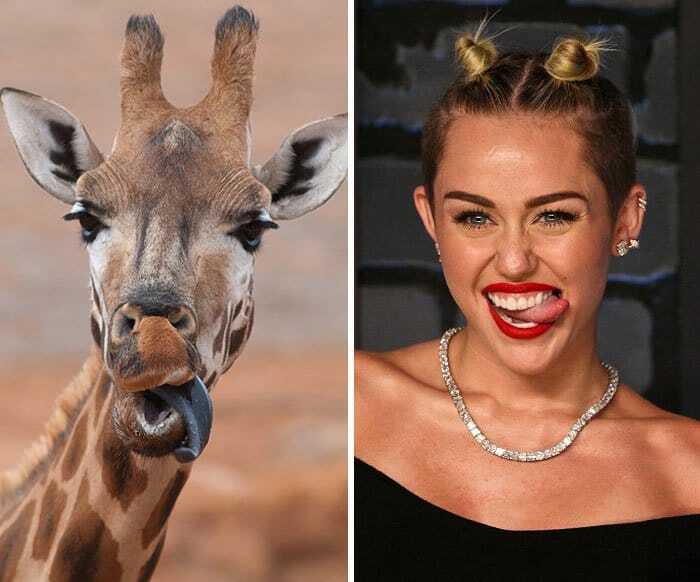 Although Cyrus has calmed down considerably since here 2014 VMA antics pictures do last forever and that is why we have decided that this photo of Miley from 2014 looks exactly like this long-tounged Giraffe.